During the Year of Mercy, one weekday each month has was designated a Day of Mercy. During these days, the faithful was given expanded opportunities in their local parishes for encounters with God’s mercy, which included: reconciliation, adoration, inspirational talks and other forms of prayer and reflection. Videos from the Deanery One presentations are below. Click the photo or link to watch them! Deanery One Day of Mercy was held at Immaculate Conception, Rapid City. The day included Mass, reconciliation, adoration, and the Divine Mercy Chaplet. 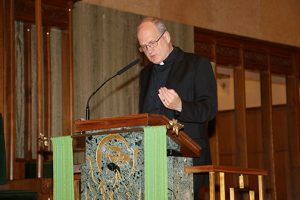 Father Peter Etzel, SJ, was the featured speaker. His topic was “Examen Prayer.” Click the photo to see the presentation. Deanery One Day of Mercy was held at Blessed Sacrament Church, Rapid City. The day included Mass, reconciliation, adoration, and the Divine Mercy Chaplet. 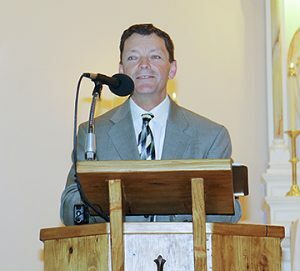 Father Steve Biegler, was the featured speaker. His topic was “Psalms of Mercy.” Click the photo to see the presentation. Deanery One Day of Mercy was held at Terra Sancta, Rapid City, and was sponsored by Our Lady of the Black Hills, Piedmont. The day included Mass, reconciliation, adoration, and the Divine Mercy Chaplet. 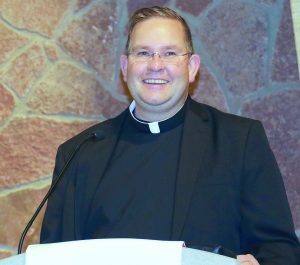 Father Tim Hoag, was the featured speaker. His topic was “The Cross and Mercy.” Click the photo to see the presentation. Deanery One Day of Mercy was held at St. Therese the Little Flower Church, Rapid City. The day included reconciliation, adoration, and the Divine Mercy Chaplet. 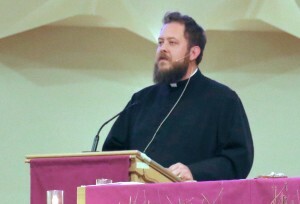 Father Brian Christensen, was the featured speaker. His topic was “Lectio Divina.” Click the photo to see the full presentation. 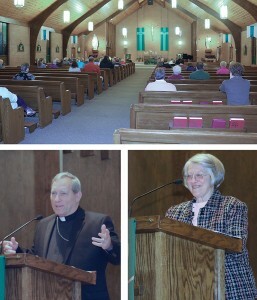 Deanery One Day of Mercy was held at Cathedral of Our Lady of Perpetual Help, Rapid City. The day included reconciliation, adoration, and the Divine Mercy Chaplet. 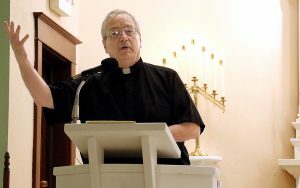 Father Michel Mulloy, was the featured speaker. His topic was “Anointing of the Sick.” Click the photo to see the full presentation. 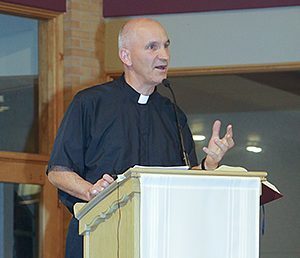 Deanery One Day of Mercy was held at st. Isaac Jogues, Rapid City. Susan Safford was the featured speaker. Her topic was the “Sacred Heart of Mercy.” Click the photo to see the full presentation. Deanery One Day of Mercy was held at Immaculate Conception, Rapid City. 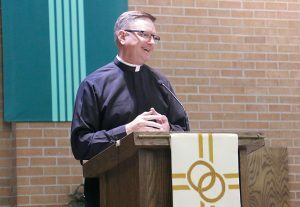 Deacon Larry Kopriva was the featured speaker. His topic was the “Divine Mercy and St. Faustina.” Click the photo to see the full presentation. Deanery One Day of Mercy was held at Blessed Sacrament Church, Rapid City. 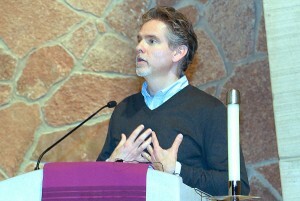 Father Jonathan Dillon was the featured speaker. His topic was the “Saints of Mercy.” Click the photo to see the full presentation. Deanery One Day of Mercy was held at Terra Sancta, Rapid City, and was sponsored by Our Lady of the Black Hills, Piedmont. Jeff Hurd was the featured speaker. His topic was the “Spiritual Works of Mercy.” Click the photo to see the full presentation. Deanery One Day of Mercy was held at St. Therese the Little Flower Church, Rapid City. The day included reconciliation, adoration, and the Divine Mercy Chaplet. 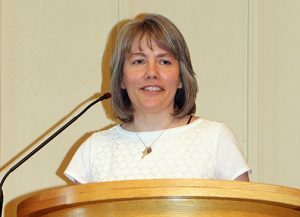 Jeanne Harper of the Society of St. Vincent de Paul, was the featured speaker. Her topic was the “Corporal Works of Mercy.” Click the photo to see the full presentation.